What are your best buys for the month of May? Well, not only does May include Mother’s Day and Memorial Day, but May 4th is also Star Wars Day (“May the 4th be With You!”) So there are plenty of shopping – and saving opportunities to be had! Which of these items will be on the agenda? BUT…Hold off on PCs and laptops: Back to school sales start in June! 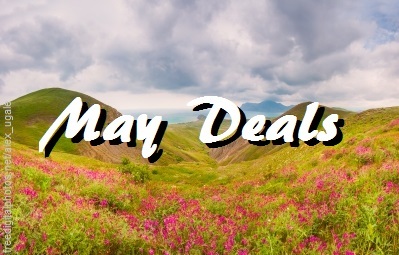 Here are some links to help you compile your May shopping list! Are any of these items on your to-do list for May? They say you could save up to 75%! What are you in the market for? Let us know over at the MindField Online Facebook page! Last week there was news of a new, experimental McDonald’s in Missouri, where they were testing ideas such as “bottomless fries,” three different sizes of Big Mac and… nothing else, apparently. Those were the only two things that got any attention. What I noticed, though, was the computerized ordering kiosks. There were no front-line people taking your order, just people making the food and bringing it to you. They say it leads to more efficient, accurate order-taking, but you can’t deny that it would ALSO save money on payroll. So, how do people respond to the prospect of workers being phased out to save money? By demanding a 50% hike in the minimum wage, from the current $8.25 to $15. Some say it gives dignity to low-end jobs and makes them more livable. Others say the whole point of a low-end job is to get in, get as much experience as you can, and get out. Some say the owners are just greedy. Others say that the owners are only making six cents of profit on the dollar. Some say that the pay rise can be done fairly, so that no restaurant bears too much of the burden. Others say it is the consumer who will bear the burden, and they will choose to stay home. One thing everybody can agree on is that it is a complex issue, and one blog post isn’t going to solve anything! So, what do you think? Is it a matter of dignity and livability, or is it strictly dollars and cents? Let us know over at the MindField Online Facebook page! Switch your bills to paperless? Toxic Tech: Should you e-cycle electronics? So there’s your Earth Day links roundup. And we kept it politics-free (you’re welcome.) 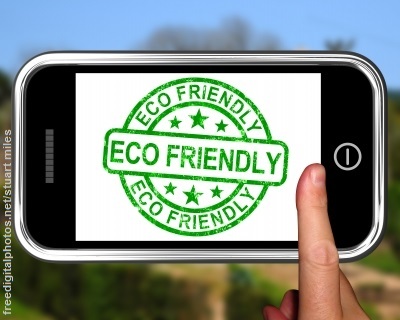 Have you seen any interesting or creative ways that corporations are Going Green? Let us know over at the MindField Online Facebook page, and have a great weekend! With the price tag for attending the prom hovering around $900, and the cost of the ridiculous Promposal at about $300, you may be looking for ways to save, whether you are the prom-goer, or the parents who are typically footing 60-70% of the bill. If you or your kid have been enthralled by the MTV notion that Prom has to be dazzling and decadent to be memorable, you can stop reading now; just surrender and get out your checkbook. On the other hand, as Dave Ramsey might say, spending big isn’t necessarily bad. If you have the money, or if you have saved up for it, and it won’t put you in debt, and you don’t use credit cards, then have at it. As a MindField regular, though, you’re probably the type that would get a thrill from creating a fun, memorable experience AND saving money while you do it. So, here are a few money-saving tips for prom, followed by some useful links for further information. Borrowing: Dress, shoes, earrings, handbag, tuxedo, Grandpa’s late-model Lincoln Continental – it all adds up! Creative Dress Buying: Craigslist, Goodwill, clearance sales at a Bridal store. The internet can help! Makeup Party: It’s come to the point where girls are having a spa day before prom. Instead, get the gang together and have fun. Bonus: When your little brother sees you and the girls in curlers and face masks – he will FREAK OUT! And on and on. Now, all tips aren’t created equal. Having dad dress as a chauffeur and listening to his dumb jokes all night probably won’t fly. 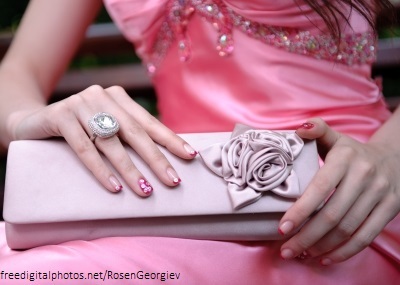 But if you take time to read the following links, you are sure to find several useful prom savings tips. Did they miss any prom savings tips? Let us know over at the MindField Online Facebook page! Monday is FUN day. That’s right, your taxes are due. It appears we got a few extra days this year, as a meaningful but not widely known federal holiday called Emancipation Day has bumped the traditional April 15 deadline to Monday, April 18. As usual, many retailers across this land of R’s are offering fun little freebies and BOGOs to make Tax Day a little more bearable. A free coffee here, a scoop of ice cream there… it all helps! So here’s a brief rundown of some of the treats you will enjoy this Friday and beyond, followed by some links for further information. And many, many more! 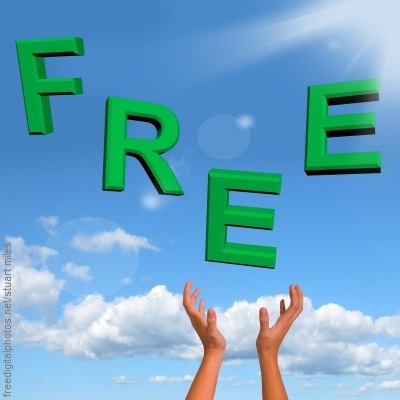 So, enjoy your freebies. The April 15-April 18 thing has created a few wrinkles though. Some deals are good for Monday, some are good today and Monday, some are good all weekend. So be sure to call ahead! When it comes to buying groceries, I realize I am an odd duck. I work out of the home. I get bored. The grocery store is about a 2-minute drive from my house. Also, we don’t cook all that much. Bottom line, shopping is boredom therapy for me, and I am at the grocery store 3 or 4 times a week, buying 6 or 9 dollars’ worth of stuff at a time. I’m not a mom with 4 kids buying…however much groceries are needed to, you know, keep them alive and stuff. But if I were, I would be concerned about food waste and spoilage, and making my purchases last. Toss spoiled produce: the culprit is ethylene. 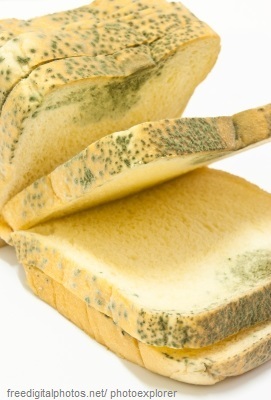 Rotting produce emits this gas, and it corrupts the good produce. Fresh herbs in water: Bundled in a vase, just like flowers! Store counter items away from windows: Sunlight makes produce age faster. There are many more tips at the original piece, so check it out! Some of these make complete sense, others (such as buttering your sliced cheese for storage) seem a little nutty. But, if you’re desperate to wring every penny out of your food budget, preventing food waste is a big concern. How about you? See any useful tips? Any old family tricks you would like to share? Let us know over at the MindField Online Facebook page! If you grew up in a home, with a mom, you remember spring cleaning AND JUST HOW MUCH FUN IT WAS. Now, you’re either the mom or you’re married to her. Spring is still rolling around year after year, and spring cleaning is still a big bummer; it’s just that it’s YOUR house now, so you’re forced to care. If your cleaning skills and motivation stop at the “straightening up” level, then hopefully you are married to someone who can actually get the job done. Oh, and it helps to have debilitating dust allergies (like me). A merciful spouse will tell you to get out of the way and go straighten up the garage while she (usually it’s she) does the real work. At which point, you may be tempted to save lives and your marriage by paying someone else to do your spring cleaning. Hey, there are plenty of people who will do it for you. 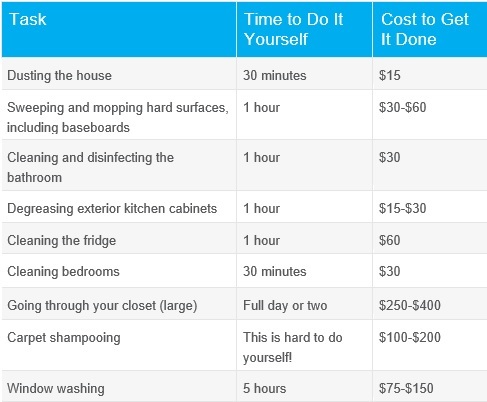 But how much does professional spring cleaning cost? And what’s involved? More info at the original piece! Is professional spring cleaning worth the money? Your mileage may vary. It’s probably best to take it on a case by case basis. Sure, I will straighten up my tools in the garage; I’ll leave window washing to the professionals! At any rate, placing a price tag on these services really puts things in perspective. When you see how much you save by doing it yourself, that’s DEFINITELY worth a nice evening out, wouldn’t you agree, honeybunch? So, is this the weekend? The weekend you sacrifice your sanity to spring cleaning? What’s the big task you are dreading most? Let us know over at the MindField Online Facebook page, and have a great weekend! For many of us (me, most definitely) financial literacy was achieved at the Financial College of Hard Knocks. You finally learn how to conduct your finances properly after YEARS of doing it improperly and almost driving off the financial cliff. It’s like we spend our 20s making the mess, and our 30s digging out of it. Wouldn’t it be nice if we had just started off on the right foot? Or, now that it’s too late for us, that our KIDS get a good start? That’s the goal of Financial Literacy Month. Use Cash– perfect way to illustrate that when the money is gone, it’s GONE. Bank/ATM Visits– illustrates that money is a real thing. It changes hands, it gets stored away, it grows, it shrinks, it disappears! Grocery Shopping– have the kids count out your $84.16 and hand it to the lady! Wants vs. Needs – This is really the core, isn’t it? 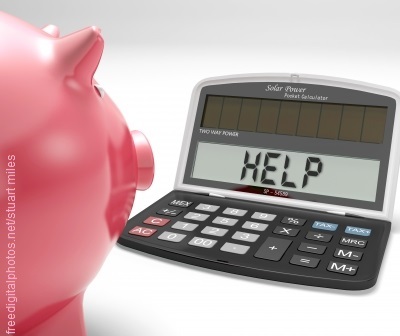 Build a Budget – If you buy all your wants, you don’t have much left for your needs, right? Pay Utility Bills Together – see, light and heat don’t just happen! Create a Wish List – Once you get the Needs taken care of, and there is some left over, make a plan for getting those Want items. Clear Jar System – A piggy bank where you can see the money. Allowance – make it chore-based. And when the money’s gone… well, you know. Games and Activities – “Monopoly” and “Life” aren’t just boring – they contain valuable financial literacy lessons! And there you go. I wouldn’t want any young person to go through the anxiety, the sleepless nights and the marital money fights I went through in my 20s. How about you? Share your thoughts at the MindField Online Facebook page! The Internet’s fascination with April Fool’s Day continues, even though the news on any typical day is so outrageous that it already feels made up. Having companies pick a single day of the year to mess with your mind is beginning to lose some of its punch. Regardless, some of these pranks can be pretty fun and creative, even of you automatically know they are fake. Here is a collection of some the notable pranks for 2016. Redbox is hiring! Be the person who sits inside the machine, handing out movies and taking returns. Craftsman is offering a kitchen chainsaw. 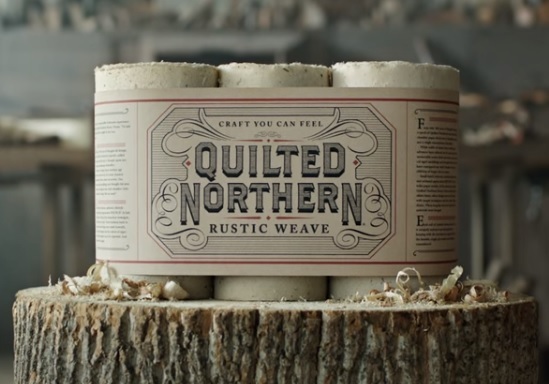 Quilted Northern Artisanal “Rustic Weave” Toilet Paper: For a more memorable tree-to-toilet bathroom experience. 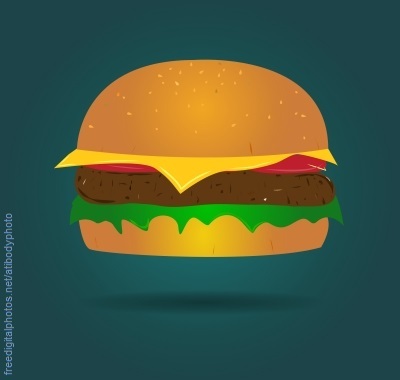 OpenTable Taste: Can’t decide on a restaurant? Taste the photos with this lickable app. Lexus V-LCRO: Velcro everywhere – the ultimate in auto safety! E-surance Election Insurance: Moving to Canada after the election? This policy pays for upkeep of the home you leave behind. Not a prank, just a fun thing: Google Maps takes you to FunkyTown! April Fool’s Day FAIL: Google Mic Drop. A “mic drop” is when you deliver the perfect conversation-ending slam or insult, and then you walk out. The Google messaging app offered a special SEND button that produced an animation of one of the Minions doing a mic drop. The problem is that people almost always take offense, and then you have to say “just kidding.” But this app literally ended the conversation, making you look like a jerk. “After facing a backlash from users, some of whom accidentally insulted friends, lost jobs and angered colleagues, Google has disabled the feature, just hours after it was launched.” UK Independent. April Fool’s Day Warning: This stuff doesn’t play in China. They will have none of your disrespectful Western nonsense! Side note for 2016… Once again, SEARS knocks it out of the park. I am in the loyalty program, and I received an email this morning saying “Sorry, no special deals today.” Then, you click on it, and it says “Just kidding!” Comedy GOLD, y’all! So, that’s your April Fool’s Day roundup for 2016. See any that didn’t totally irritate you to death? Let us know over at the MindField Online Facebook page! It’s springtime and, here in the South, there’s no better sign of that than the thick yellow pollen dust covering your car, your patio furniture, and your children. 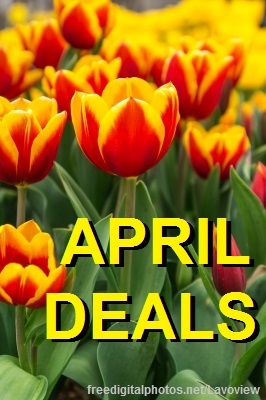 Also there are big savings in the air for the month of April. Let’s take a look! Electronics: It’s the end of the fiscal year in Japan, and everything must go! Shoes: After Christmas, shoe sales drop, and retailers are looking to clear their shelves. It’s also spring exercising weather, so you will find good deals on athletic shoes. Tax Time: Many retailers (especially fast food) offer a free cup of coffee here, a donut there. We will have more on that later this month! 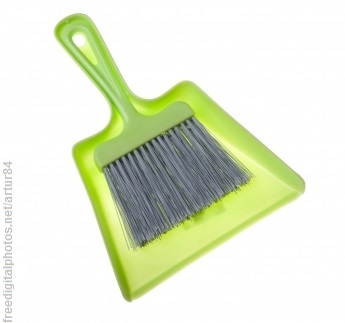 Home Improvement: Like we said, spring cleaning and projects, projects, projects! Thrift store items: Again, as everybody does their spring cleaning and donates their stuff, thrift stores are overstocked and will offer deals. Deals so good you will want to buy back your old junk! Again, just the highlights. Here are a few helpful links for your April browsing pleasure. Have you got any spending (or saving) secrets for April? Share them over at the MindField Online Facebook page!